Would you mind featuring my video as an extreme Parkour/Freerunning video? yes we definitely will post it up now for you. Always keen to new people’s content on here. You are very welcome, it is up now. we will keep you posted on how hits we get over the next few days. Anything else you got send it through. Drop some pics of your mont blanc escapades, lets show them to the world . Will do. Send it to gerard@sykose.com? Cool we will post as we go then . ill check my mail now. Seems the video doing alrighty. I think around 400 views. Heh dude you have had 2198 views on our little blog. well done and thanks for the groovy video, if you have anything more, we would love to push it out. Sorry, JUST seeing this and yes I do…. Wow, fantastic blog layout! How long have you been blogging for? you made blogging look easy. The overall look of your web site is excellent, as well as the content!. 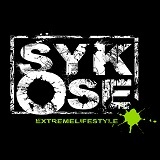 Thanks For Your article about Extreme Videos | Sykose .